The 2019 Mark of Excellence Awards deadline is November 30, 2018. Enter today and have your product or project featured in the March issue of CE Pro and online at CEPro.com. Friday, November 30th is the final day for manufacturers and custom installers to enter the 2019 Mark of Excellence Awards, so be sure to get your entries in while you still can! 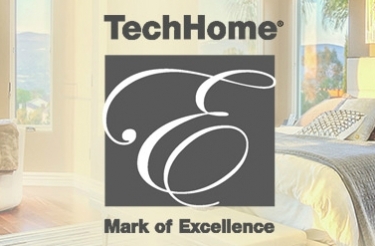 There are only two days left to enter the 2019 Mark of Excellence Awards, presented by the Consumer Technology Association's (CTA) TechHome Division and CE Pro. The deadline is November 30th, 2018, and the winners will be announced at the TechHome Mark of Excellence Awards Reception during CES 2019 in Las Vegas, Nev. on January 9, 2019. The awards recognize some of the best residential and commercial custom installation projects performed by professional integrators, as well as top consumer technology products and services that are primarily targeted at the custom installation channel. Each year, manufacturers, distributors and systems integrators enter to compete for the coveted awards. There are 20 different product categories manufacturers may submit for, including emerging technologies/IoT, automation device of the year, and networking product of the year, among others. Meanwhile, custom installers can select from 14 categories to submit projects ranging from lighting control, health and wellness, and home theater. Nominations are also accepted for the CTA TechHome Integrator of the Year. Remember, if you enter a product submission, the product must have been released within 12 months prior to the award announcement date (September 5, 2018) or planned to be released within the next six months after the awards announcement date. Each category has a judging team of systems integrators, manufacturers, members of the trade press or industry consultants. Each entry is given a numeric score. The top-scoring entries in each category will be named finalists. The deadline is Friday, November 30, 2018. Enter here! Take a look at last year's winners here.